While everyone is fairly enthused about VR (Virtual Reality) filmmaking it still remains much of an experiment and mystery to most filmmakers. All except people like Lewis Smithingham, CTO and VR supervisor at 30 ninjas. The wow and now comes through when Smithingham discusses the ambitious VR action miniseries he is working on with Doug Liman (The Bourne Identity). Premiering later this year, he said that Invisible represents the next wave of cinematic content and immersive storytelling. Catching the sessions and buzz around NAB, it’s pretty obvious that tech and entertainment biggies are betting billions that VR will be the way we experience movies, news, events, games and almost everything tomorrow. Smithingham has been steeped in VR video for more than a year, shooting with Jaunt and Nokia OZO very extensively as well as with a bunch of different Blackmagic and GoPro custom rigs. He explained how the team had gained a lot of experience in how to allow the viewer to feel he/she is affecting the story while still retaining directorial control. 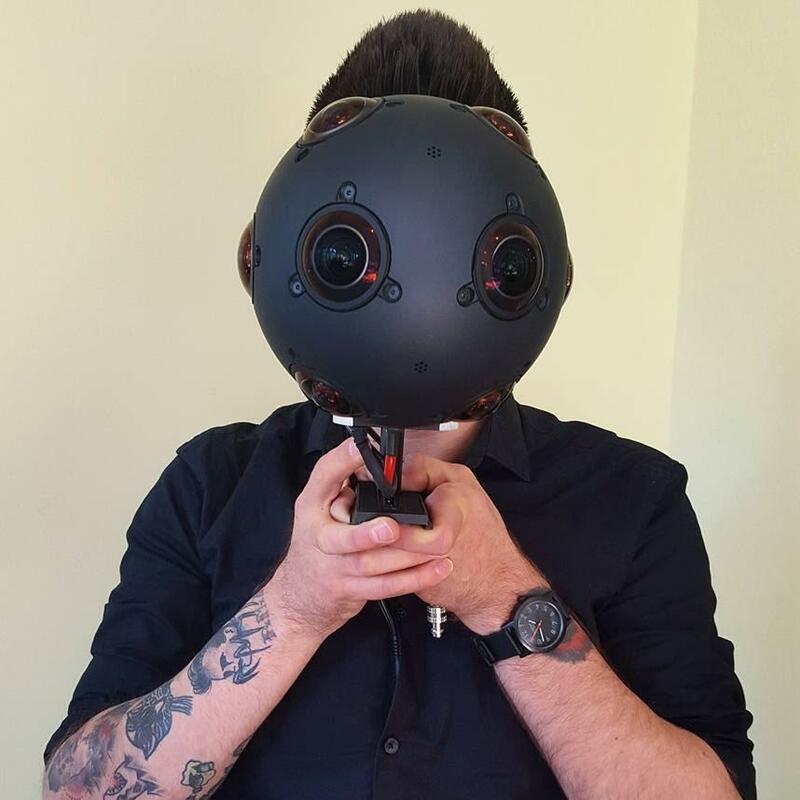 Real Experiences – An avid diver and VR filmmaker, Lewis Smithingham, thinks one of the biggest potentials for VR film work will be letting people really experience new, unusual and exciting adventures, places and ideas. 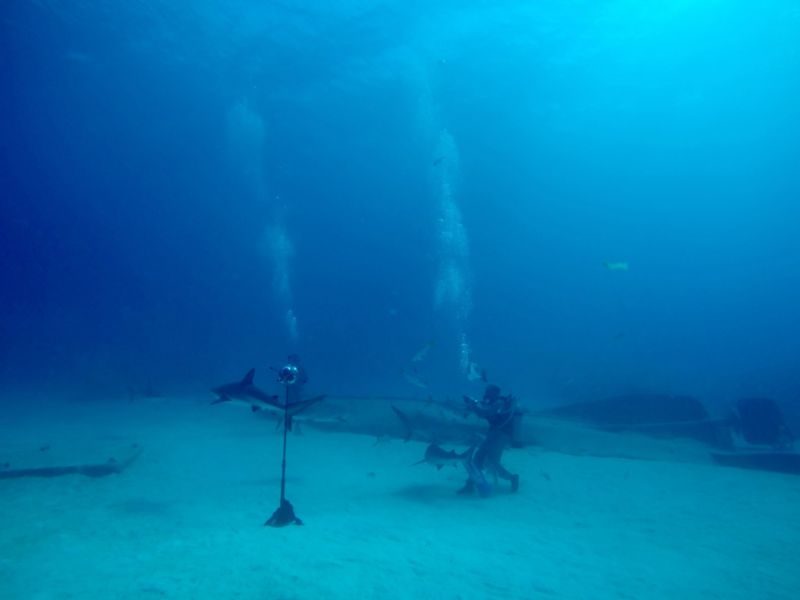 In addition to work on the Invisible series, he has been working on an immersive diving with sharks adventure piece to entertain and educate people that sharks should be protected and respected. Smithingham said in the VR universe people are able to look in any direction which can be a little disorienting but that Liman and he had developed new ways to guide the viewers gaze/experience using sounds, images and transitions throughout the film. Having recently returned from a shoot in Haiti, he said the key to doing it once and doing it right was storage. For the four-day trip, he used five OWC ThunderBay 4 RAID units and multiple sets of hard drives.